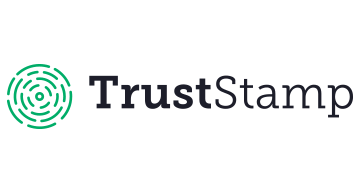 Trust Stamp provides identity and trust as a service by empowering enterprises to authenticate and recognize their customers and transact business safely and more efficiently using cutting edge biometric solutions. Trust Stamp's core Artificial Intelligence applications use state of the art facial biometrics and proprietary "proof of liveness" tests to create a unique and secure digital identity. Once created, the digital identity can be stored as a biometric hash on an enterprise server or immutably in a private or public blockchain. The digital identity can be augmented by other data sources, including public records & social media data mining, to analyze and attach trust or preference characteristics that are relevant to the relationship and interaction.